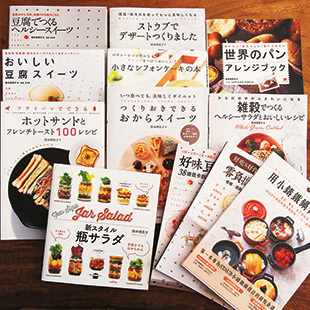 While Metropolis readers know her for her fun and easy recipes, Rieko Suzuki has cultivated a following in Japan with her series of cookbooks that introduce readers to trendy and casual cuisine that can be made easily in a Japanese kitchen. Suzuki’s recipes draw inspiration from her years traveling to various countries and being exposed to a wide range of food and cultures. Metropolis gets to know the person behind the recipes. I started cooking from as young as I can remember. My mom is a good cook, and she likes to make homemade dishes for everything. 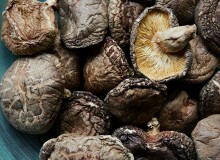 My family’s unusual in a sense; we’re very curious about new foods. When I was very young, avocados weren’t that popular. You wouldn’t see them in a regular market, but my mom would go somewhere and get them. In the beginning, horseradish wasn’t popular. When I was young, I remember I was on the train, going somewhere like Kinokuniya, and got fresh ones because my mother liked it with steak. We’re hunters. When did you decide to make cooking a career? It’s not my decision. When I got married, I went to Singapore, Jakarta, came back here, then went to L.A. In L.A., instead of getting school lunches, my daughters wanted to bring packed lunches. But they didn’t like the taste of American bread, so I started baking at home. Some moms were interested in how those breads were made with tofu or soy products, because they never heard of it. So I started teaching them how to make it, and that’s the start. You often cook with okara (soy pulp). What about it do you like? It’s not just okara. My main interest is using Japanese ingredients to make Western or Southeast Asian food, or using Western ingredients to adapt to Japanese foods. I want to make the ingredients world borderless. When you try to be a little more creative, you can substitute many local foods. What did you learn about food from traveling? There’s a saying, “You are what you eat.” That is really true. People who grew up with homemade cooking—doesn’t matter if it’s excellent or bad—they feel more attached to their country, their culture. Food is so strongly connected to your roots. That’s what I found. What about home cooking makes it so special? Home cooking is not only the taste. It’s the warmth from people you eat with, the smell of your dining room, the noise from the kitchen. Home cooking is special because someone made that food for you, and it’s customized. Restaurants make good food, but they serve the same food to every customer. But home cooking is somebody thinking about you; there’s a more personal connection. I think that makes people happier. Why do you think food is so culturally important? Because eating is very innate. Eating with somebody is sharing that. Just be creative. 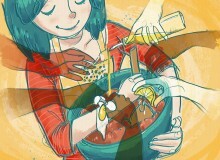 To me, cooking has never been a chore. It’s more like drawing, making sculptures, or singing. That’s why all these years, I’ve been enjoying and never got bored of it. Just grab ingredients from the market and try to make your art piece. Maybe it will taste good, maybe it won’t, but still, play with it. 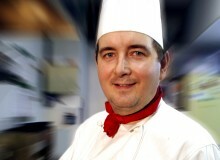 Maybe something’s going to click, and you might become the next Paul Bocuse.